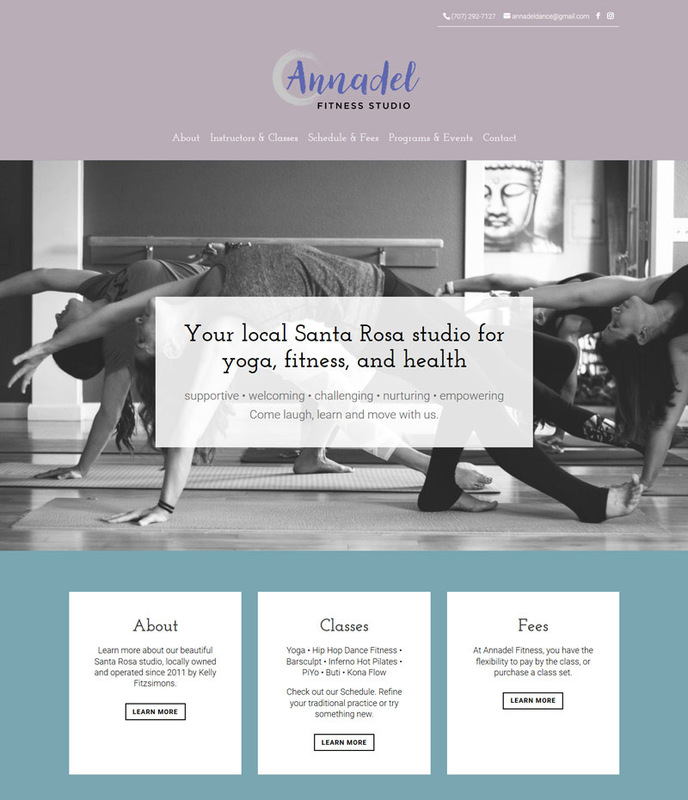 Annadel Fitness Studio’s site features many dynamically generated sections so that visitors can see the most up-to-date information about their class schedule and special offerings. The site is hooked into Mindbody booking and payment software so Annadel Fitness only needs to make changes (substitutes, schedule changes etc) once using their Mindbody phone app, and the site updates automatically, saving time, money and hassle. The Upcoming Events, Facebook Feed and Instagram feed are also linked up. So the latest news from social media entries are displayed on the site with no extra thought or effort. Color, spacious layouts and a custom photo shoot all make for a beautiful cohesive professional site, giving visitors a sense of the lovely atmosphere they will experience at the studio.